If you’d like to score matches regularly, this course covers the basics such as scoring symbols, umpire signals and completion of the scoring record in more detail than the Introductory course. On top of this, you’ll get an overview of the laws of cricket that relate to scoring, a discussion on dismissals and scorebook checking and guidance on end of innings routines and identifying a result. You don’t need any experience to participate but complete beginners might find it useful to do an Introductory course first. 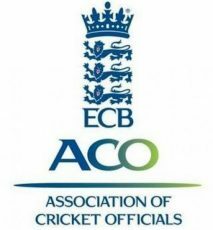 When you’ve completed the course, you’ll receive an ECB ACO Club Scorer (L1) certificate.